Bio: Robert Brooks is a tenor saxophonist originally from Grand Blanc, Michigan. He holds a Bachelor's in Music Performance from Central Michigan University under the direction of John Nichol and Rob Smith and a Master's in Jazz Performance from the University of Illinois at Urbana-Champaign under the direction of Chip McNeill. He is currently working toward his DMA in Jazz Performance with a Cognate in Clarinet Performance at the University of Illinois under the direction of Ron Bridgewater, J. David Harris, and many other faculty members. 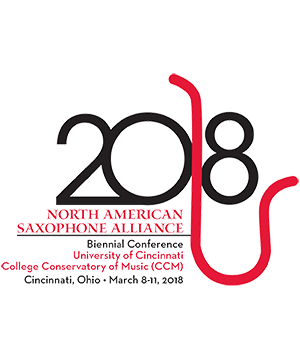 Robert currently is serving as an adjunct professor in saxophone and clarinet at the University of Illinois at Springfield as well as affiliate faculty at Bradley University in Peoria, IL. Robert has performed throughout the United States including the Detroit Jazz Festival, Elmhurst Jazz Festival, Notre Dame Jazz Festival, CMU Jazz Weekend, NASA Region 5 and Biennial Conferences, Freihofer Jazz Festival, and JEN Conferences. Myles Boothroyd Soprano Saxophone Myles Boothroyd currently teaches as Adjunct Professor of Saxophone at Roberts Wesleyan College. He . . .
Jordan VanHemert Alto Saxophone Jordan VanHemert currently teaches at Lincoln College as the Adjunct Professor of Jazz Saxophone. He . . .
Robert Brooks Tenor Saxophone Robert Brooks is a tenor saxophonist originally from Grand Blanc, Michigan. He holds a Bachelor's i . . .
Alex Blomarz Baritone Saxophone Alex Blomarz holds a Bachelor's degree in Jazz Studies and Music Education from the University of Il . . .
Andy Wheelock Drums Drummer/percussionist Andrew Wheelock is an Adjunct Instructor of Music at Lincoln College and Green . . .